Hugely popular rock cafe which combines rock memorabilia with a restaurant and, occasionally, live performances. 'The Vault', in what used to be Coutts Bank, houses the most valuable pieces of memorabilia in Hard Rock's collection. Stand out items include Eric Clapton's silver suit pictured on the cover of Cream's album 'Goodbye Cream', Sting's bass guitar, used in the 2001 video for 'After The Rain Has Fallen', and Madonna's bustier from her 1990 Blonde Ambition Tour. Hard Rock Cafe grew into the rock 'n' roll legend it is today when Eric Clapton gave a guitar to American founders Isaac Tigrett and Peter Morton who ran the cafe, a favourite haunt of his. 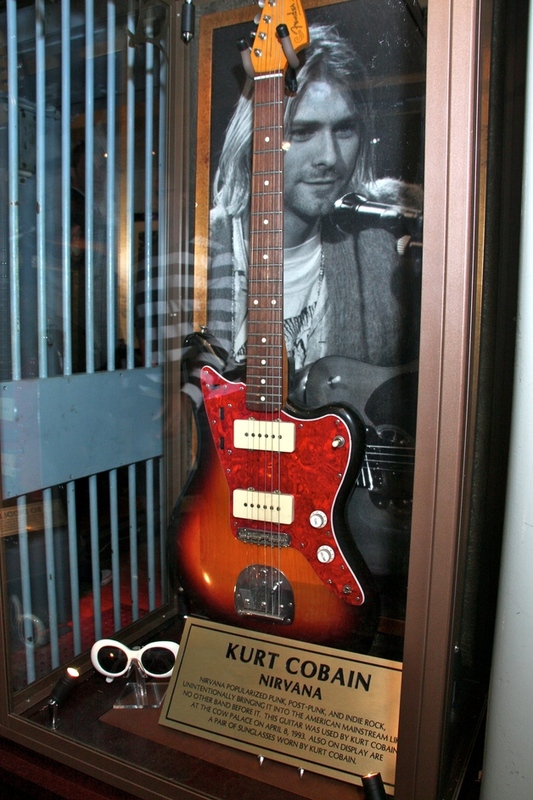 They put the guitar on the wall and so the collection began; now it includes more than 70,000 pieces spread across 138 Hard Rock Cafes, Hotels and Casinos in 42 countries around the world. The Hard Rock Cafe gyms, sporting activities, health & beauty and fitness. The best pubs near London The Hard Rock Cafe. The Hard Rock Cafe clubs, bars, cabaret nights, casinos and interesting nightlife. Where to have your meeting, conference, exhibition, private dining or training course near The Hard Rock Cafe. From cheap budget accommodation to luxury 5 star suites see our deals for The Hard Rock Cafe hotels, including Park Lane Mews Hotel from 80% off.